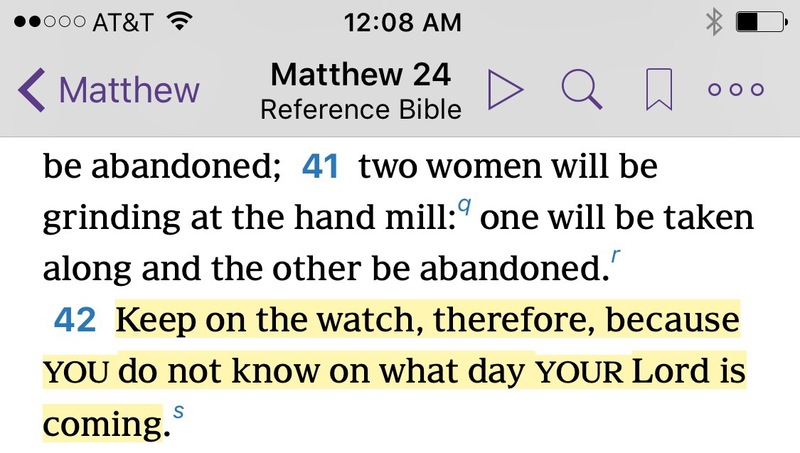 So here we are looking at Matt 24:45 and scratching our heads. Who is the faithful and discreet slave?? What if we had nothing to aid our understanding? No one to explain? Could we figure it out just from the pages of the Bible? Let’s try! How can we do that? We have to look at the context. Here we go...this will be eye opening! Follow me. 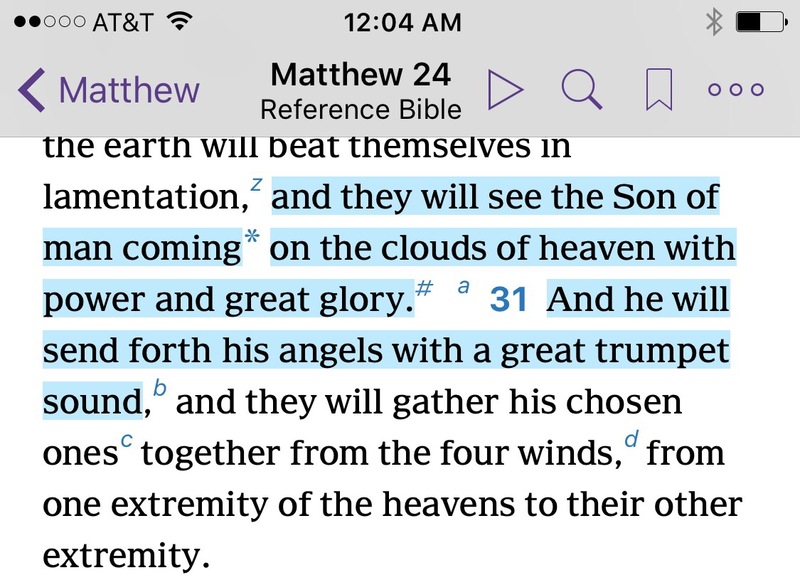 Jesus opens Matt 24 by describing the signs of the end and of his coming. (As a side note, NWT uses the word “presence” instead of “coming” in these chapters. 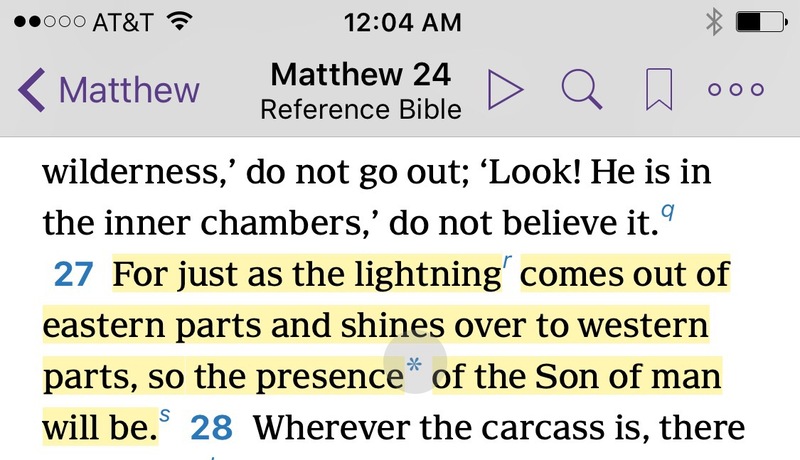 This word choice brings thought to the JW doctrine of Jesus’ invisible presence starting in 1914. You may notice as we read that, in context, the use of the word “presence” becomes awkward since Jesus is clearly describing a sudden event, happening at a certain unexpected moment…not a prolonged period of time). 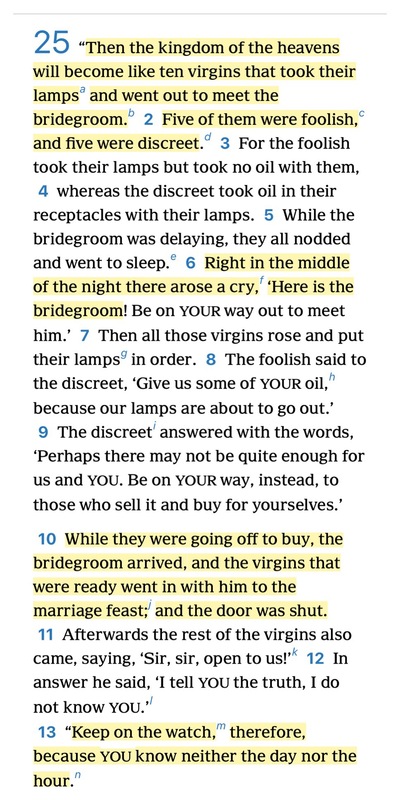 Here, Jesus begins talking about his unexpected and sudden return. He continues talking about the surprise factor. Nobody knows when it will be! 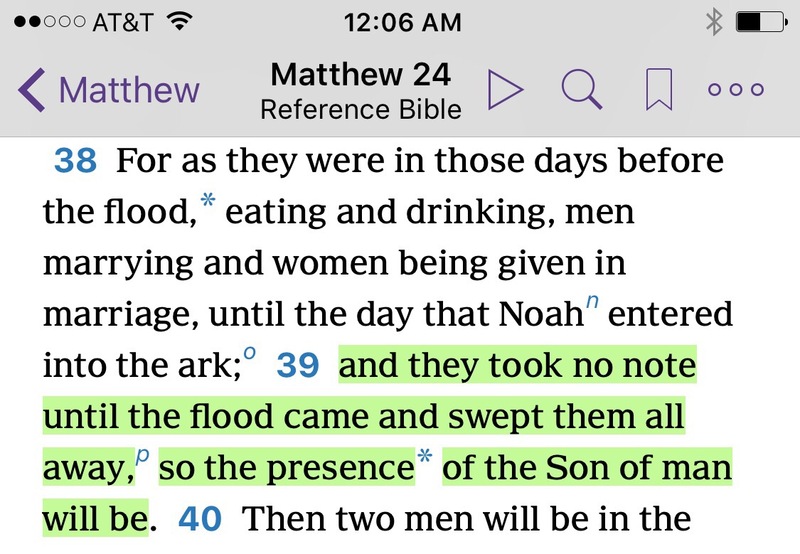 Now He expounds on the unexpectedness of his coming by comparing it to the flood which took people by surprise. 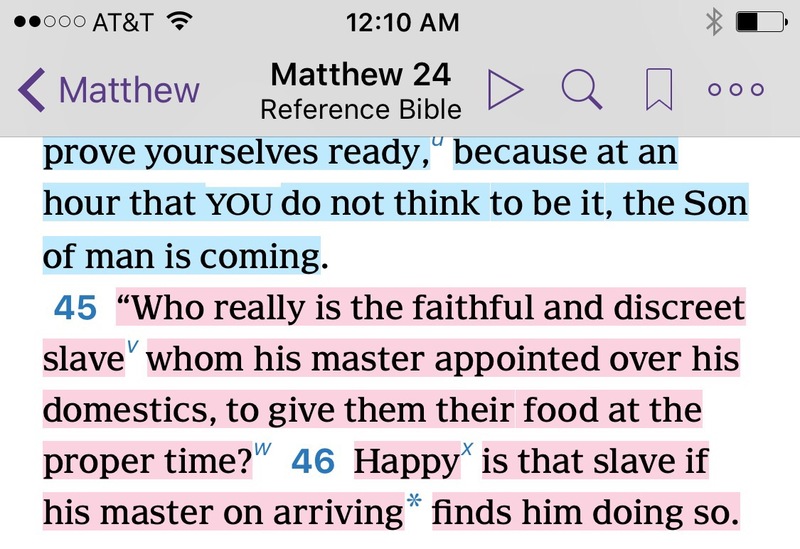 He warns his audience (which includes me and you) to be ready …because you never know when he will arrive! He then compares “you” to a householder. If he would have known when the thief was coming, he would have stayed awake! Hey! There’s our question! Who is the faithful and discreet slave?? I know. The suspense is killing you. Back to the context. 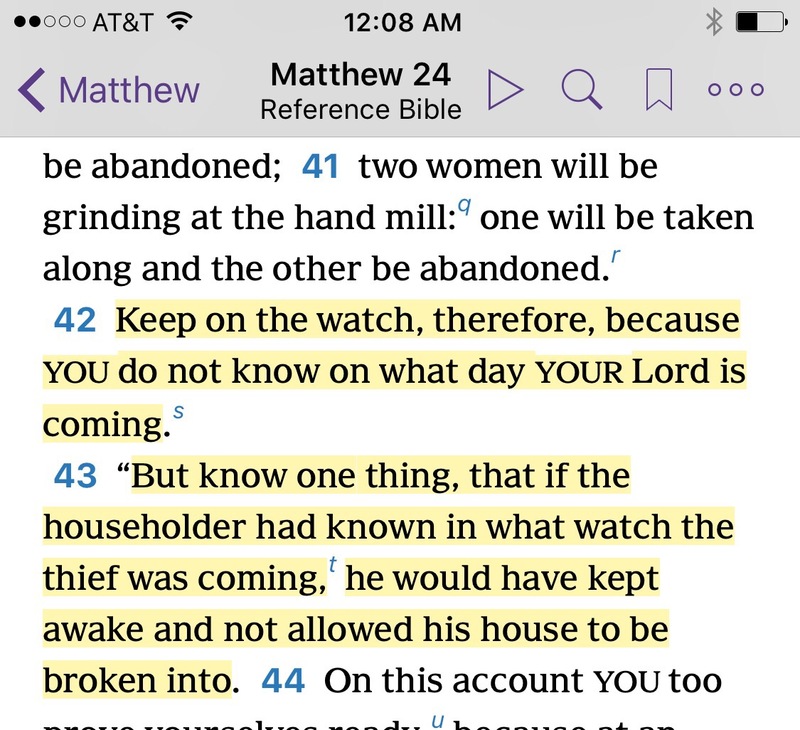 Jesus has warned us of his sudden return and told us not to be like a householder who sleeps when the thief comes. Now he talks about a slave. Let’s see what he says. Here’s a slave with two possible endings to his story based on the choices he makes while his master is away. If he’s obedient, he ends up happy. Poor choices, on the other hand, earn him the title of “evil slave” resulting in his punishment at the master’s return. This traveler trusted all his belongings to his slaves…(Hey, that parallels the faithful and discreet slave who was appointed over the domestics). He gives talents to the slaves. Some invest wisely and some don’t. The master took a long time (another parallel). 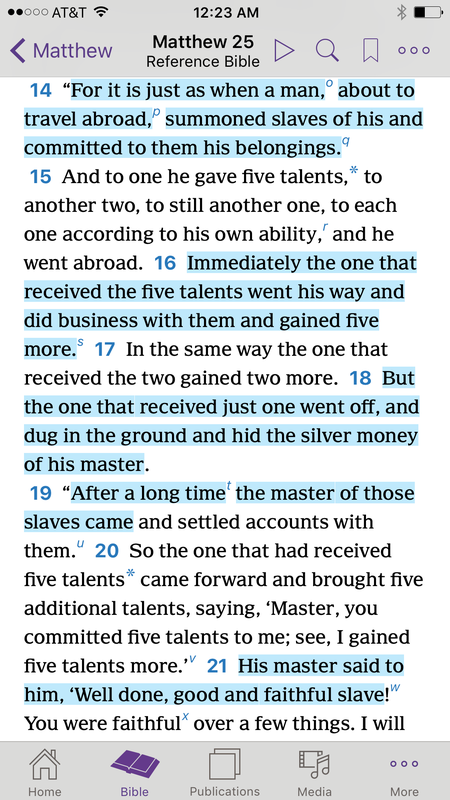 When he came back, the faithful slave got a pat on the back …he was given charge of even more talents (another parallel to the faithful and discreet parable. When that slave was found doing right, he was put in charge of everything). He then talks about the judgement and his separation of the sheep and the goats. Back to our Question. What does the context prove to us? Who is the faithful and discreet slave? Well…he’s the one found doing what the master told him to do when he returns. What will you do while your master is away? 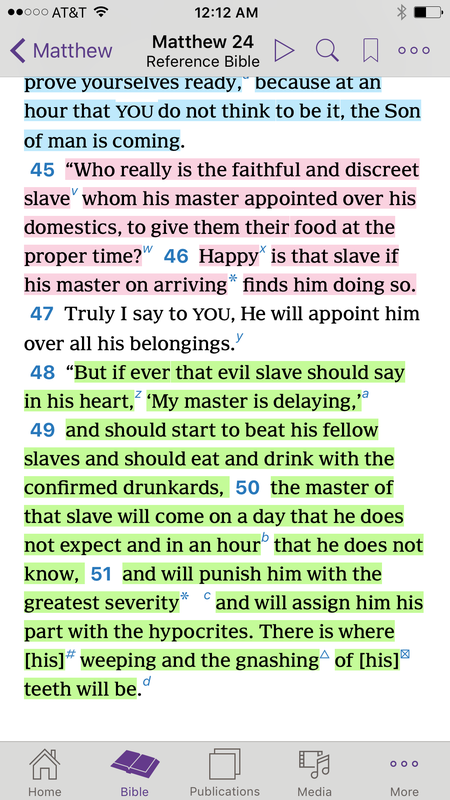 Are YOU going to be the faithful slave or the evil slave? Previous Post Power to Reason 💡 Let’s use it! Next Post Is Scripture Sufficient? I loved this ! So simple and easy to understand when put in context like this! Thank you! And the walls of Jericho (aka Watchtower, aka Bethel, aka Warwick) come tumbling down. It takes a lot of work to prepare such a clear presentation. You nailed it, crushed it, killed it. Drop the microphone.